A deeply cleansing, super-fine exfoliator to help refine, smooth and add radiance to dull or congested skin. Spherical Diatomaceous Earth exfoliates to help clear pores, lift impurities and balance uneven tone, while nourishing Rose Damascena and Shea Butter soften skin revealing a smooth and radiant complexion. Smooth a small amount over a damp face, neck and décolleté working in small, circular movements, concentrating on the forehead, cheeks and chin though avoiding the eye area. Rinse away with warm water. Suitable for all skin types, especially dry, dull and congested skin. Water (Aqua), Diatomaceous Earth (Solum Diatomeae), Helianthus Annuus (Sunflower) Seed Oil, Glyceryl Stearate SE, Coco-Glucoside, Butyrospermum Parkii (Shea) Butter, Cetyl Alcohol, Coconut Alcohol, Glycerin, Beeswax (Cera Alba), Sorbitol, Phenoxyethanol, Sodium PCA, Styrax Benzoin Gum, Sucrose Cocoate, Sclerotium Gum, Pelargonium Graveolens Flower Oil, Copernicia Cerifera (Carnauba) Wax, Sodium Lactate, Citronellol, Benzoic Acid, Geraniol, Dehydroacetic Acid, Linalool, Rosa Damascena Flower Oil, Ethylhexylglycerin, Caprylyl Glycol, Tocopherol, Sodium Hydroxide, Beta-Carotene, Daucus Carota Sativa (Carrot) Root Extract, Daucus Carota Sativa (Carrot) Seed Oil, Ascorbyl Palmitate. I have been using this skin polish for several years now and find it the best on the market for my skin. I am 65 and use it twice a week sparingly and follow with toner and a moisturising night mask which I leave on. It works very happily for my skin not too drying provided the moisturising takes place. I would happily recommend it. I have used many skin polishers/exfoliates over the years but this is hands down the best. It’s effective at smoothing without drying and makes my skin feel wonderfully smooth and nourished. Love it! Wow I love this product. It makes your skin feel so soft and cleansed. 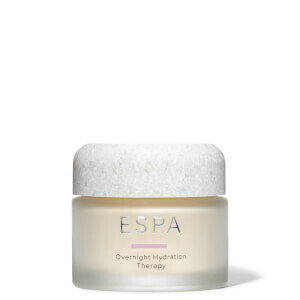 If you use the oil after it feels like you have had a full ESPA facial. Would highly recommend. I have been using this for years, nothing else compares, great for clogged pores and dead skin. 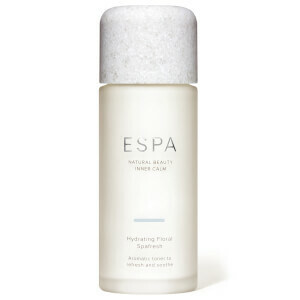 This is the first time I have used ESPA products on recommendation from my sister who uses all the time, thought I would treat myself and glad I did it leaves skin feeling clean, fresh and so soft. This is not going to be my last purchase! I've been looking for a good exfoliator for some time. I'm tired of the kind that just have the useless beads in it or a few pieces of stuff that supposed to buff you out. THIS is the kind I've been looking for. The texture I can best describe is if it was face lotion mixed with fine sand. Like the kind of sand that comes in a little hourglass. Its perfect and really gets in there to clean! A beautiful product that smells gorgeous. 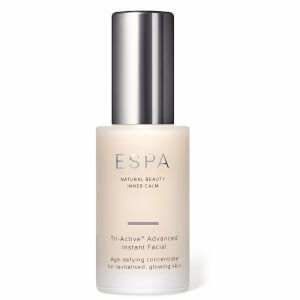 I have always loved Espa products they feel luxurious on the skin. The skin polish smells beautiful it has just the right texture to be gentle on your skin. I use it twice a week and can really tell the difference my skin looks brighter and feels so clean and soft. Such a lovely treat for my skin and myself. I've been using this polish for not too long, but this one is definitely the best I had. It is gentle, yet super effective for my sensitive and dry skin, feels nice to the skin. You need a really small amount, so the pot will last very long. Absolutely worth spending. Thank you!